At Direct Supply, your career will take off from the very beginning. We'll give you the tools, resources and training you need to quickly ramp up and excel. Work hard, learn fast and you'll easily distinguish yourself. We're looking for experienced candidates who can bring the lessons from their past success and grow further with us. Your experience with collaboration, innovation and teamwork will be immediately applied in your new role as you help propel us further as a company. 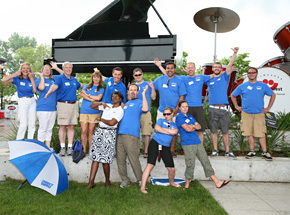 We are looking for top-notch, authentic leaders who have worked hard to hone their skills. Come in and teach, mentor and develop the Partners around you. Share your knowledge and experience, and be prepared to learn and work hard in our success-driven environment. For 30 years, Direct Supply® has been dedicated to enhancing the lives of our nation’s seniors. This commitment to our seniors drives every decision we make. It’s led us to become the leading supplier of equipment, services and eCommerce solutions to the Senior Living profession. We’ve built a successful company from the ground up, and the future is bright. We are perfectly positioned as the industry leader in this growing market segment. According to US Census Bureau data, America’s population of seniors is set to DOUBLE by 2060. Every day at Direct Supply, our founding Principles are alive and well. We hold our business decisions up against the Principles, making sure they meet the standards we set for ourselves. Our Principles help keep our entire team focused and working toward the same goals. 1. Treat employees as partners. Many companies pride themselves on their customer service. At Direct Supply, it’s so important that ours is outrageous. Every time we interact with a customer, they should be amazed at our commitment to their satisfaction. It’s simply how we do business. 2. Provide outrageous customer service. We treat one another as Partners – because that’s what we are. Our culture of ownership means we operate a little differently, because we’re both the employees and the owners. Partnership is truly the founding spirit of Direct Supply. 3. Commit to quality, excellence, and integrity. “Good enough” is never enough at Direct Supply. Our nation’s seniors depend on us to produce outstanding work to help them lead better lives. Our work always represents our best efforts, and we constantly strive for success, building upon our history to grow our company, and ourselves, even further. 4. Promote high company growth and an environment that rewards innovation and progress. Principle #4 insists that we do better at every turn. A true meritocracy, Partners are rewarded for their success. We set challenging goals, and we’re held accountable for reaching them. 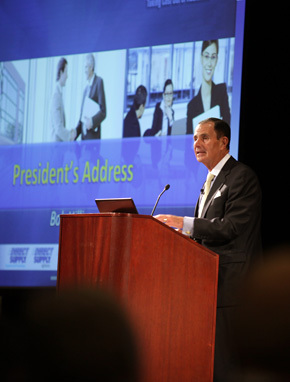 At Direct Supply, growth and innovation are critical to our success, and we make them a priority. 5. Be the industry leader in return on investment. Successful businesses deliver high ROI to their shareholders. And since we are our own shareholders, that ROI comes right back to us. Our profit sharing program ensures that every Partner who contributes to our success shares in it. Brains - We hire the best and brightest individuals in their professional fields. Our seniors deserve the best, and that’s why we hire the smartest people we can find. Character - Our integrity as a business rests upon the character of each individual Partner. We strive to be good people who do the right things, no matter what. Drive - Our work always represents our best effort, and we commit tremendous personal energy to our jobs, each and every day. Experience - We hire knowledgeable, experienced professionals who bring outside learning and perspective to our business to help us succeed. Our culture is unique. It’s casual, friendly and relaxed. But it’s also driven, powerful and innovative. As owners in our business, we do things differently. 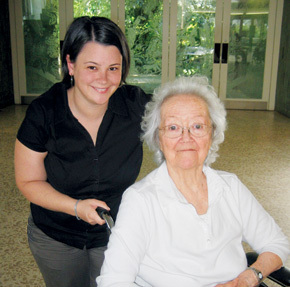 Volunteer opportunities allow us to give back to the seniors we serve. We stay on top of the latest technology to help our Partners work faster and smarter. 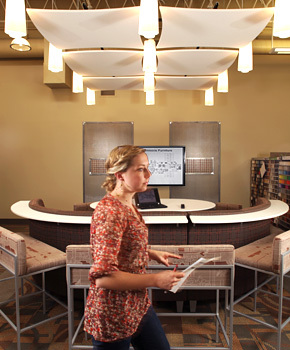 Our campus is comfortable, contemporary and designed to help Partners achieve their best. Join one of our clubs and network with Partners over shared interests. Direct Supply is proud to support all the great things going on in Milwaukee. Direct Supply Partners love to dress comfortably and work professionally. 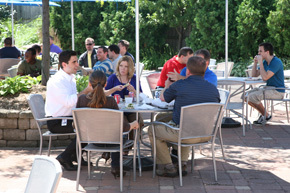 Direct Supply Partners, as owners in the company, get together to discuss the state of the business every quarter. 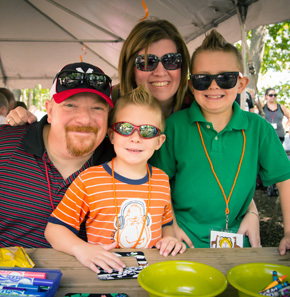 Partners and their families enjoy several fun events each year. 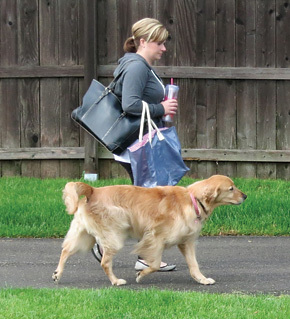 Partners often bring their canine companions into the office. 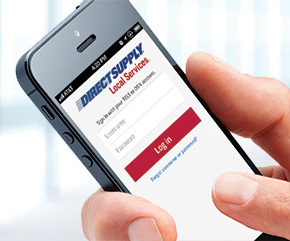 As a leading employer, Direct Supply® provides our Partners with top-notch benefits. We offer all the things you’d expect, and many more that show our commitment to our employees goes beyond the norm. Being employee owned means we do things a little differently: strategies and decisions are not mandated by Wall Street. Because all our Partners contribute to our success, everyone shares in the profitability of our company. Workout machines, free weights and classes help Partners keep in shape without incurring gym membership fees. Direct Supply employees give back over 5,000 hours to our seniors and our community every year. To help eligible Partners continuing their education, Direct Supply offers a tuition reimbursement program. Participation in our 401(k) program – including a stock and cash match – allows all eligible Partners to be owners of Direct Supply. Direct Supply offers a flexible work environment to help Partners achieve work-life balance. Medical, dental and life insurance programs are available for eligible Partners and families. Grab a pickup game before or after work or even over lunch to relax and refresh yourself. Ongoing education is a priority – we offer a wide variety of on-campus classes to help our Partners excel. Holiday parties, zoo outings and other social gathering opportunities give Partners a chance to connect outside the office. 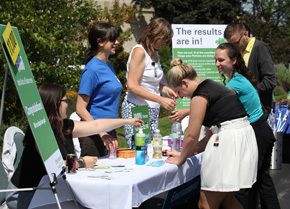 Take a break during the day for some light yoga or a brief massage right on campus. Direct Supply’s unique college internships and comprehensive post-graduate Leadership Development Program help you start your career off in high gear, right away. Many of our most successful and influential employees began their careers at Direct Supply in one of these special programs, and they’re making a difference and innovating for us every day. Direct Supply has long been committed to providing outstanding internship experiences in Southeastern Wisconsin. Interns receive top-notch training, dedicated leadership and mentoring, and outstanding benefits to help them apply their schoolwork to the real world. Many of our Partners began their careers at Direct Supply as interns – our local colleges are a great source for the next generation of top talent. Join our team, and contribute to the success story of Direct Supply. 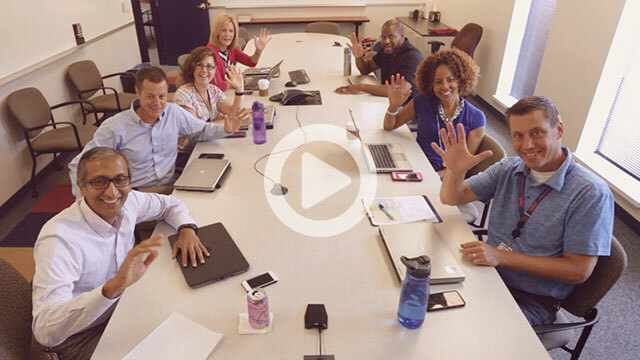 From day one, you’ll experience enterprise-wide immersion including observations and interviews with sales, marketing, operations, supply chain, manufacturing and other departments. This broad-spectrum overview will help you synthesize your experience and impact some of the largest initiatives in our business more quickly.